Children with Aspergers syndrome need extra help developing social skills. This condition makes it very challenging for children to interact with other people. They have difficulty understanding normal social cues and communicating effectively. Parents can help their children learn social skills by practicing a few techniques. Role-playing is a good way to teach children with Aspergers how to act in social settings. Parents can guide their children through conversations and show them the appropriate ways to act in certain situations. 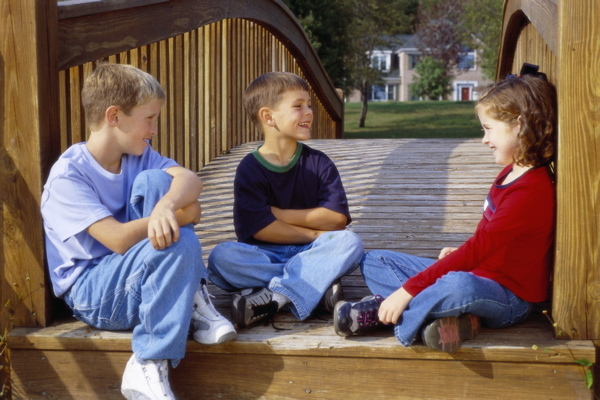 Children with Aspergers have trouble in particular with making small talk and smoothly changing from one topic to another during the normal course of a conversation. Parents should also show their children acceptable ways to talk to others since children with Aspergers are prone to talking obsessively about one topic without realizing that the other person has lost interest. Although children with Aspergers have a lot of trouble learning social skills, having them work at it gradually but consistently can help them make progress. Parents should have their children play with others who are around the same age. For the best results, regular socialization should be started at an early age so that children will have a better understanding of social skills by the time they start school. This also gives them plenty of opportunities to practice using the skills they’ve learned. Parents should supervise these play sessions closely in order to step in and correct their children’s behavior when needed. Children with Aspergers usually fail to notice nonverbal signs that other people use in social settings. They typically don’t realize when other people have become bored with the current topic of discussion. They also need to be taught verbal cues that most people take for granted. Many children with Aspergers don’t understand sarcasm so they tend to take humorous or joking comments seriously. Since this type of misunderstanding can make them anxious or lead to inappropriate responses on their part, it’s important to help them learn to recognize verbal cues. Parents can help their children with Aspergers learn how to act properly in social situations by showing them drawings or books that illustrate these concepts. Visual imagery can help them understand things like sharing, which might be difficult to explain verbally. Using pictures can also be a less intimidating way for children with Aspergers to learn social skills. Instead of being put on the spot by having to interact with other children, studying pictures and listening to their parents’ explanation of them gives them a calm and safe environment to process what they’re learning. In order to make it easier for children with Aspergers to learn social skills, parents should do what they can to reduce their child’s anxiety. Children with this condition do better when their daily lives are structured.